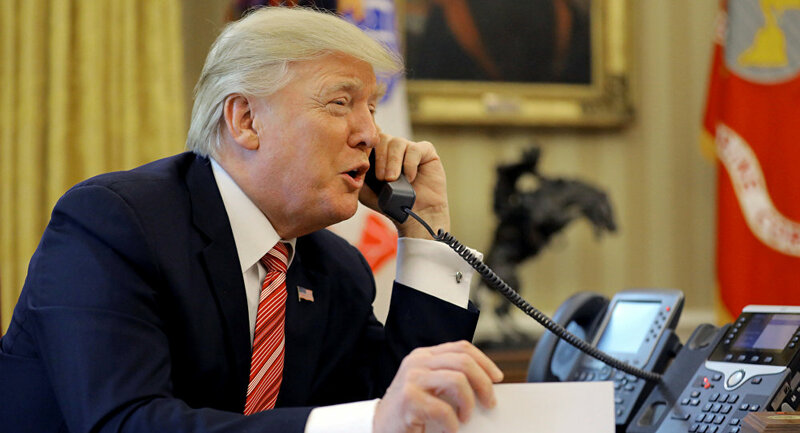 WASHINGTON (Sputnik) - US President Donald Trump said he spoke by phone on Wednesday morning with Mexico's President-elect Andres Manuel Lopez Obrador, and that the two will have a great working relationship. "Just spoke to President-Elect Andres Manuel Lopez Obrador of Mexico. Great call, we will work well together!" Trump said in a Twitter message. The White House said in a statement later on Wednesday that the two leaders discussed the newly negotiated United States-Mexico-Canada Agreement (USMCA) on trade. "Both presidents expressed their pleasure with the agreement and noted it would make the region stronger and more competitive," the statement said. After more than a year of negotiations, the three countries reached a new trade deal to replace the North American Free Trade Agreement (NAFTA) late on Sunday. While Mexico and the United States successfully negotiated the deal in August, Canada did not agree on it until the last day before a deadline announced by Trump. The leaders of all three countries are expected to sign the agreement within 60 days, and then the treaty will need to get approval from their legislative bodies.